Could you please help me to identify this marked? Is it Chinese or Japanese? Looks Japanese. I cannot read the mark clearly, but such marks are usually not Chinese. 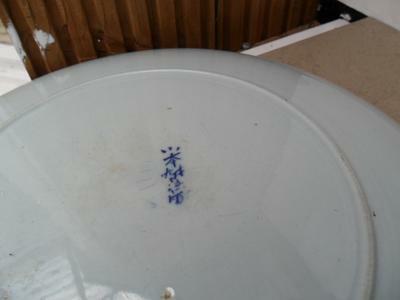 Apart from the writing style itself you can also be sure that if the mark is off-center the item is not Chinese.